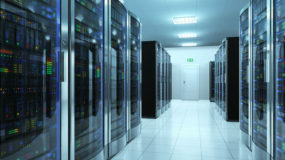 Data Center Assessment Services - From Power & Cooling to Strategy & Design - Advanced Facilities, Inc.
Advanced Facilities offer a comprehensive approach to managing your mission critical data center environment. From power and cooling assessments to strategy and design – our Data Center Assessments can be customized to fit your needs and business requirements. Site Assessments – Our expert engineering team performs on-site data center specification and evaluations to examine the current performance and design of your facility. Power & Cooling Assessments – Ensure the reliability and extend service life by inspecting the operating condition of your data center’s critical power and cooling systems. Is your data center running as efficiently as possible? 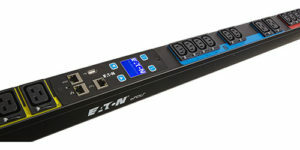 Are you ready for new server technology that may require different cooling and power requirements? 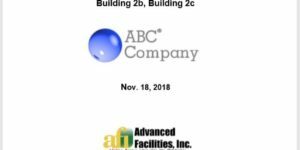 If environmental conditions are not taken into consideration during these changes a company could experience reliability issues within their mission critical facilities. Downtime is not acceptable, even the most robust technology is only as good as the infrastructure that supplies the power and protection to keep it running. Our experienced team performs on-site data center assessments to examine the current performance and design of your facility. This is helpful when planning for the future as it identifies existing and future power and cooling capabilities. By conducting a Single-Point-of-Failure (SPOF) analysis our engineers are able to identify issues that may result in possible system interruptions and offer solutions to rectify the issue. The data center site assessment can also be helpful in identifying and resolving electrical issues within the facility. Data Center power quality problems can occur based on any number of issues like changes to your systems (adding & removing equipment), the age or your facility, harmonics, poor design installation practices, improper wiring between or within systems, or improper grounding. AFI’s data center assessments provide a thorough look into your facility and crucial systems. Our approach takes into consideration current performance, as well as preparedness for the future. After inspection and analysis of your facility our engineers will provide you with a comprehensive report outlining the findings. The report will identify any potential trouble spots and offer solutions and recommendations for rectifying the issues. Our comprehensive report will include design considerations, technology improvements and maintenance programs necessary to “harden” your facility against possible interruptions. Find out how a data center assessment can ensure your mission critical facility is performing at its best. You may also want to take a look at our preventive and managed maintenance programs.